In our society, it's illegal to sell a kidney or a lung, but you can buy human reproductive material such as eggs and sperm. Reproductive technologies-- in vitro fertilization, cloning, and embryo transplants-- are making headlines. The treatment of infertility is a multi-billion dollar business in the United States, affecting an estimated 15% of couples trying to have a baby. Many professional organizations, journals, as well as consumer organizations, support groups and magazines deal with the topic, yet most people don't understand what couples who have infertility experience. And even less is known about the option of having someone else have your baby. You can hire a surrogate, who donates her own egg that is fertilized by artificial insemination, or a gestational carrier, who does not contribute any genetic material but carries a transplanted embryo for a pregnancy. Surrogacy is mentioned twice in the Bible, but notoriety about cases involving disputes over the baby has left many people with the notion that surrogacy is a rare event, only recently used. Few states specifically allow surrogacy, and some outlaw it. Most states are silent on the issue, which brings up opportunity for conflict in the legal system. What would it be like to pay someone to have your baby? The relationship between a woman who agrees to be a surrogate or gestational carrier and the biological mother and father is curious and complex. But, what if one of the women is black and the other white? This is the situation Maggie Reed and Rita Montreaux are in. Maggie is motivated by guilt—her sister died trying to have the baby that she asked Maggie to carry for her. Rita has always hated white women, and the idea that she would have one be a birth mother to the baby she couldn't have was impossible. Reluctant Miracle is the story of these two women and their families, and how they negotiate one of life's most important experiences. 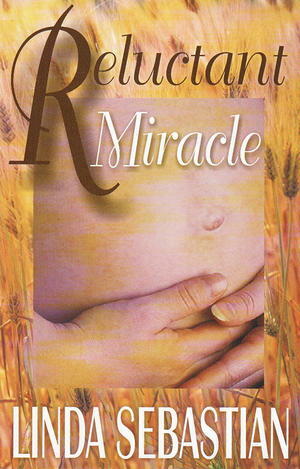 It explores the back-story behind the headlines about surrogate and biological mothers.